Can A Luxury University Buy Its Way To Credibility? Nido Qubein has led an attempted turnaround of High Point University by leveraging the university’s assets to invest in new infrastructure and thus hopefully buy credibility. Less than 10% of the universities in the United States are considered ‘medallion’ institutions. Qubein is not the first to try and buy his way into the club. However his method is unique. Rather than using the $700 million to attract top academic talent, Qubein is spending money to add luxuries to the campus in a bid to attract rich students – who can then pay for the luxury amenities. Features include schools with marble floors, first-run movie theaters, dorms with plasma-screen televisions and hot tubs. Qubein plans a total of $2.1 billion in campus improvements by 2020. The university that has now acquired a preppy image offers classes in dressing for job interviews and writing business letters. The campus is trying to discourage students from living off-campus by buying all of the off-campus apartments. High Point University’s annual operating budget is $77 million but it is estimated to add $418 million every year to the sleepy mill town in which it is located. The University has added new majors such as International Relations. To attract students High Point University offers scholarships – but only if students and parents visit the university first. The hope is that visitors will be so impressed that they’ll choose to go even if they don’t win the scholarships. To read about the somewhat suspicious links between High Point University, and Qubein’s own business interests, how his salary has increased, what a tuition at the university looks like, why the success of the university might have come at the expense of black students, how academic standards may have slipped, why piercings and tattoos are discouraged, how flyers are banned, and why Qubein compares his students to Godiva chocolates, click here. Edit: To read a rebuttal of some of these points please scroll down to the comments below. ← Is Income Inequality A Good Thing? I’m an HPU graduate and used to be a faithful alumni annual donor. While researching colleges for my kids I found that HPU has an over 90% acceptance rate and a less than 50% graduation rate. Whoa, what happened to my alma mater? Then I read on CNN that Quebein is the third highest-paid college president in the entire USA with annual salary of $2.7 MILLION. They obviously don’t need my donations anymore. I have been to HPU, and it’s a nice, high-end community college. Anyone who can afford it gets in (80% acceptance), and the over-the-top amenities attract lots of wealthy kids who are academically challenged. Qubien is a cult figure who is glorified, with his rags to riches story (since it’s all about being rich). There are purple umbrellas and HPU flags everywhere, like a theme park. This is a wonderful school for kids who need self-confidence in a very comfy environmental, but don’t confuse HPU with a strong academic school. My sons attend this university, and my oldest just was granted a fortune 500 job. Your incompetence is showing by the very nature of your post. The school is on the rise, and has been forced to acceptance less and less capable students each year. I really do apologize for your son or daughter’s rejected admittance but being sour towards the University will not help them. Shouldnt every university offer classes on how to dress for an interview and write business letters? Kudos to HPU for doing something that will help students to do well in life! Your compilation of random, misinformed comments seems to ignore all of the positives like investment in state-of-the-art learning labs for students in communication and business schools; new equipment for athletic and science departments; and plans to continue to invest in classrooms? Why just mention the fun stuff like the movie theater and leave out the huge amount of academic investment? HPU is not buying its way to credibility. It already had it with the thousands that attend here each year. If upgrading campus facilities is bad, then why does everyone do it. I applaud HPU for that. It does not look like a theme park at all. It looks like an Ivy League school, and I say that as someone who graduated from Princeton. Another mistake you made is not mentioning the faculty that comes from acclaimed schools including Duke and Johns Hopkins…that is investment in academics on top of the facilities! And, the Interior Design program here is one of the top in the country. Seniors CAN live off campus, and many do. High Point is not a sleepy mill town by the way. It hosts nearly 80,000 people each year for the High Point Furniture Market from across the globe. Your summary of random information is so off base, you lose credibility! My son is applying here and his classmates have been awarded the presidential scholarship (which like other schools requires an in-person interview). There is great diversity at HPU including African American students and those from abroad. The learning environment is very impressive. I advise you to get your facts right before publishing misinformation. You couldn’t even spell the president’s name right! Why should anyone believe your commentary. Oh the assumptions people make. The writer of this post obviously hasn’t been to the university, but is rather just regurgitating other things they have read. Not only has HPU attracted top faculty from other institutions such as Duke to start new programs, but it has added far more new majors than International Relations and has built several new academic facilities. ◦The campus is trying to discourage students from living off-campus by buying all of the off-campus apartments. – HPU has bought no apartment complexes, just land around it to expand the campus. You can’t build new academic buildings if you dont’ have land. This is completely untrue. 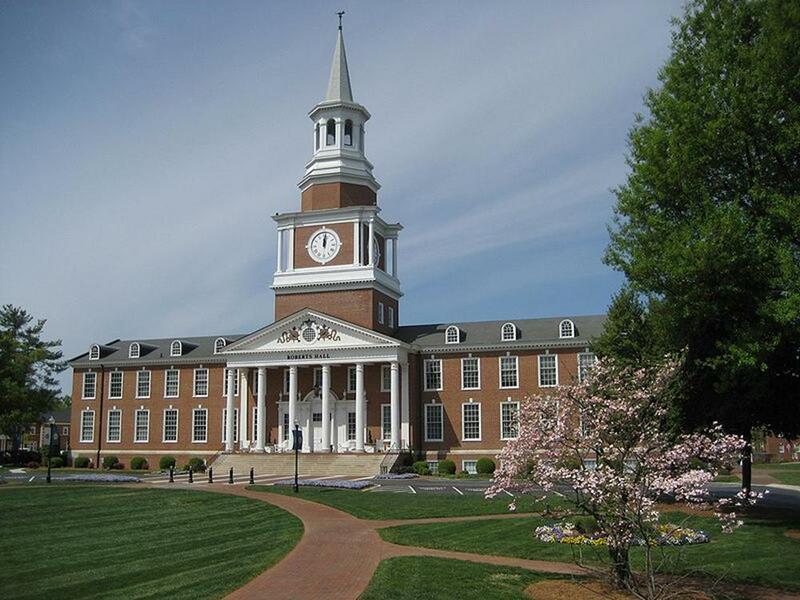 ◦To attract students High Point University offers scholarships – but only if students and parents visit the university first. The hope is that visitors will be so impressed that they’ll choose to go even if they don’t win the scholarships. – I can’t believe how horribly misconstrued this is. HPU offers Presidential Scholarships to incoming freshmen who have excelled in academics throughout high school. EVERY institution offers scholarships to attract students. Part of the process to determine who receives those scholarships is an in-person interview, which, yes, requires them to come to campus. Do you think it would be better if the school just blindly guessed who should get scholarships based off of a high school transcript rather than actually meeting the student? If you haven’t been to HPU, don’t believe everything you read. Didn’t the university ban studemts from living off-campus? Taxi Medallions: A Better Investment than Gold?